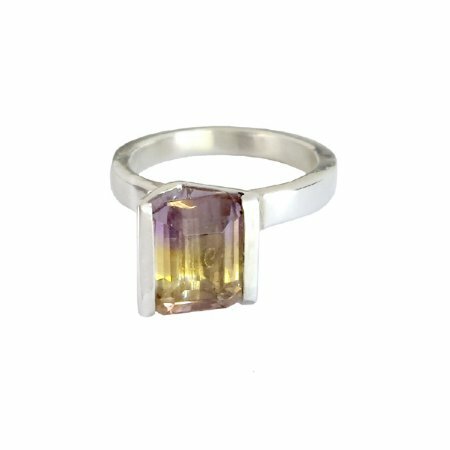 This ring is contemporary design at its best. The off-centre, minimalist style allows the spirited Ametrine gemstone to shine with its bi-colour hues of yellow and purple. 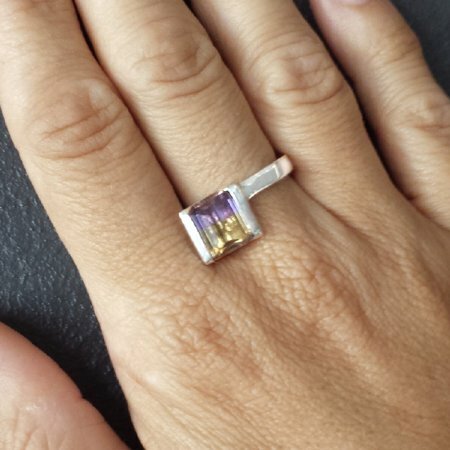 The Ametrine is a natural occurring stone that is a mixture of Amethyst and citrine, hence it's name! Hidden behind the facets of the emerald cut stone is a hand engraved initial for you to discover......Prices in silver start from $495. Please email us for a quote.